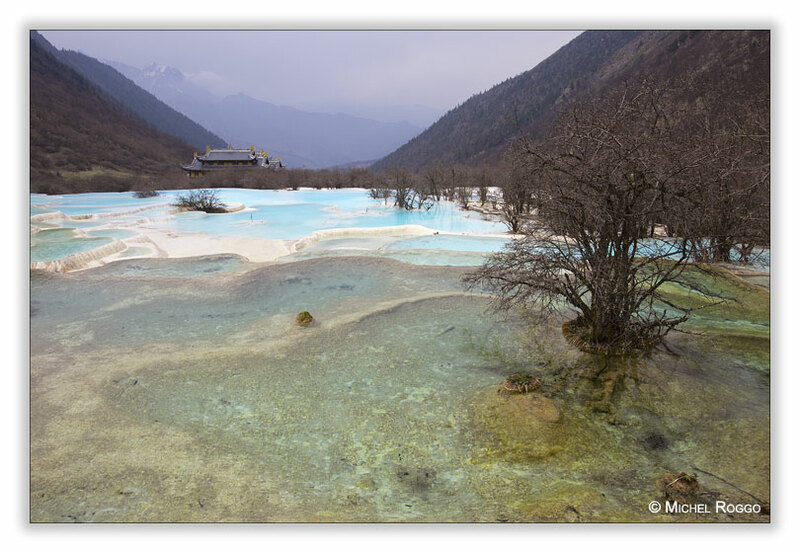 Situated in the north-west of Sichaun Province, the Huanglong valley is made up of snow-capped peaks and the easternmost of all the Chinese glaciers. In addition to its mountain landscape, diverse forest ecosystems can be found, as well as spectacular limestone formations, waterfalls and hot springs. Tectonic activity, in the form of earthquakes, is fairly frequent. Above the timberline are extensive areas of precipitous mountain scenery, snow-covered for much of the year. 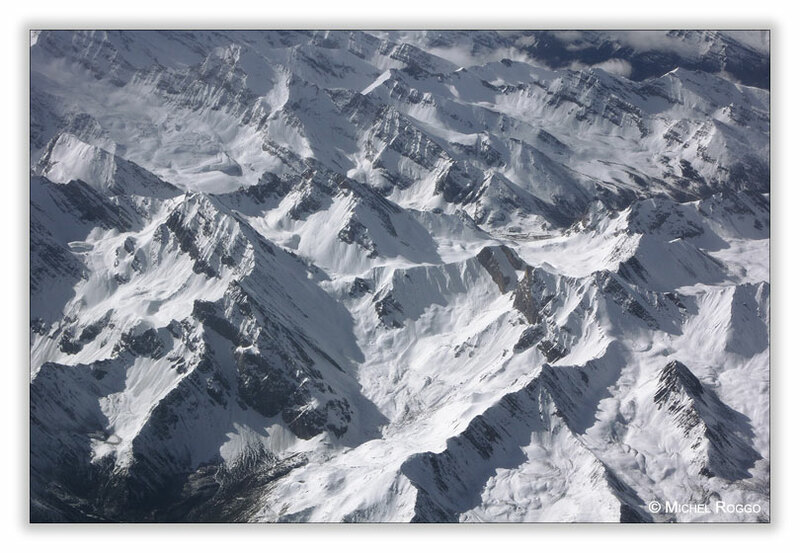 Xuebaoding, or Snow Mountain Peak, is permanently snow-covered and bears the easternmost glacier in China. 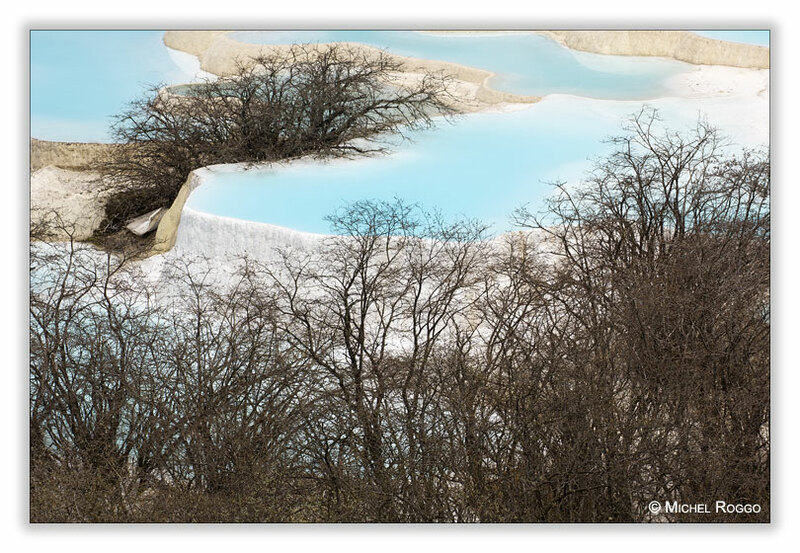 Of greatest geologically interest is the extensive calcite deposition that has taken place, notably along the 3.6 km Huanglonggou (Yellow Dragon Gully) where there are several extensive areas of travertine pools. Algae and bacteria proliferate in a number of these pools, giving a wide range of colours from orange and yellow to green and blue. And at the top of the valley, at 3’600 meters above sea level, there is a buddhist temple, build in the Ming area. Can you imagine a more beautiful location for such a building?